6 Comments on How to Change WordPress Username? As we all know that now a days majority blogs on web are powered by WordPress. This is because WordPress is the most flexible Content management system till now. To access admin panel of your site, You have to enter Your Username and password you’ve selected while installing WordPress. So, How to Change WordPress Username? I hope that you know that WordPress uses MySQL database to store the data of website. WordPress also stores Usernames and Passwords of registered users in MySQL database. So, You can’t change username from WordPress admin panel. To change your wordpress username, You have to visit phpMyAdmin. You can visit phpMyAdmin from the cpanel of your hosting provider. Just click on phpMyAdmin from your cPanel and then it will be redirected to phpMyAdmin. If you are geek like me and not using any cPanel based hosting then you know where you can access phpMyAdmin. In the left sidebar of phpMyAdmin, You will get the list of the databases. Click on the database you are currently using for your site. After selecting database, You will get the list of the tables you have on your database. In the list of tables, You will get the table named wp_users which contains the login and contact information of every users of your site. In the list of tables in database, You will get the table named wp_users in which you will get login and contact information about registered users of your site. If you are the only registered user of the site you will see only single entry of yours and you can simply edit that, In my case I have many users, so I will look for mine and edit that only. You can see that the user_login row shows usernames of the corresponding user. Currently in my test scenario username is admin. Now, The last thing you have to do is to change your username and save the record. Enter the new username replacing old one; and to save it come down and click on Go button with a default selected options. If Save is not default then select Save from dropdown menu then click Go. Now you have successfully changed the wordpress username. Note: Don’t try to change password from here because here your password is encrypted. If you will try to change then it may harm your whole site. 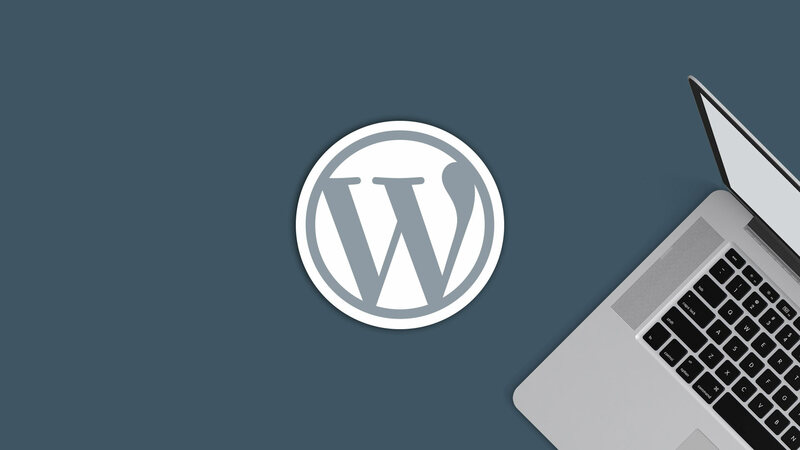 By this method, You can successfully change your wordpress username. You can also change usernames of other registered users if they want. Hi Atul, Glad to see that you are showing people about WordPress and changes. I like the way you have explained the changing of username. You have made it so simple for users by taking screenshots. Though most of bloggers don’t prefer to change username but still they should know about it. Thanks Ravi. Keep visiting us for more updates. And what about changing the password is it the same way? Don’t ever try to change password this way. Because you can change it directly from admin panel. The password you will get in Database will be encrypted. I will not recommend doing this but if you want to know how to change the password from there, just set function as MD5 then type in your password and hit Go. I never thought anybody might have such problem, but now I can believe this. By the way, I know an easier way to change username of WordPress blog. 1. Create a new user with new username. 2. Change it to Administrator. 3. Login into new account. 4. Go to list of users and click on Delete user old user that you want to change. 5. You will have option to transfer the post written by previous user. 6. Select Author with new username, and delete. Hey, Javier Olivo. Thanks to comment here. Your suggested method is good but it requires many more steps to make it look like as the first one thus I have not recommended it. 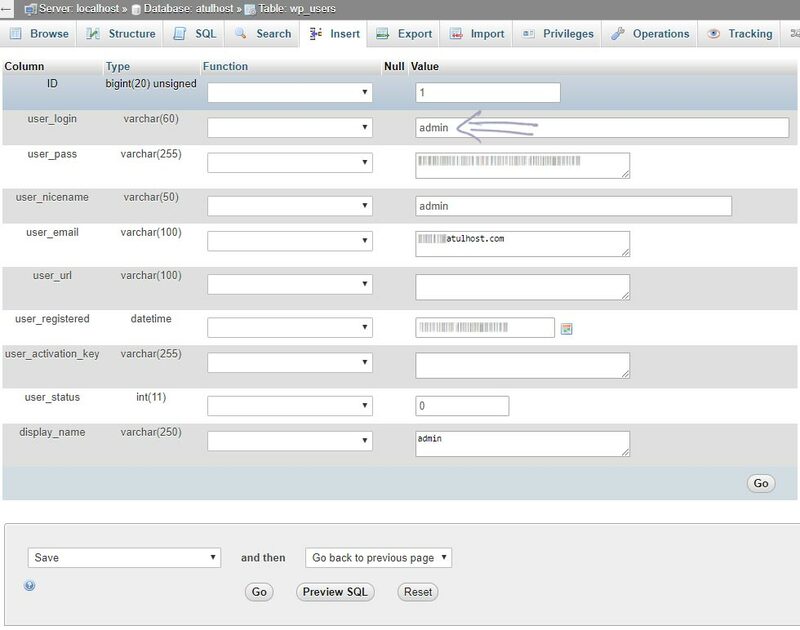 By your method, a user has to add more information to the new user as username, social links, bio lines and more. If I’m not wrong then you can’t delete first admin of any WordPress site. Just try it. WordPress will not allow you to delete first admin.